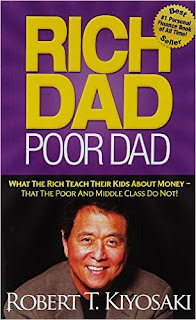 Deemed to be one of the biggest bestsellers on finance across the globe, Robert Kiyosaki's Rich Dad Poor Dad: What The Rich Teach Their Kids About Money That The Poor And Middle Class Do Not! attempts to significantly change the manner in which individuals view financial conceptions of appreciable money and investing. The book also focuses on helping you attain financial freedom, apart from educating readers about the value of financial intelligence and financial literacy. Some of the highlights of the book include the essence of wisely planning and creating a thought out personal financial statement. It also helps in accurately determining the differences that make a property an asset or a liability. Rich Dad Poor Dad inspires you to think like the affluent; at least as far as money is concerned, while giving you a deeper insight about the basic concepts of money. These are concepts that the rich teach their children and that parents belonging to the other economic strata don't teach to theirs. Get some straight talk about money, investing and entrepreneurship in this hugely popular book. The book was published in 2011 and is available in mass market paperback. 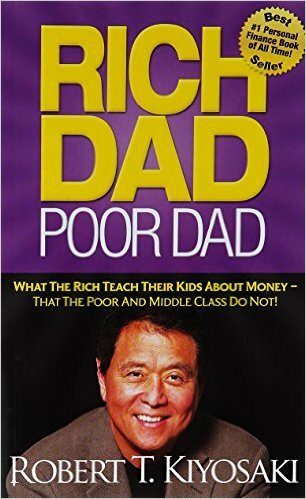 Rich Dad Poor Dad: What The Rich Teach Their Kids About Money That The Poor And Middle Class Do Not! shows you how to make investments for better cashflow, rather than capital gains. The book explains how income-generating assets are the best way to make money.